Macrium Reflect 7.1 Free Download Latest Version For Windows Os (XP-7-8-10). Get the standalone offline installer setup file of Macrium Reflect Free with a single, direct and secure download link. The downloaded setup file is compatible with both Windows 32 and 64-bit versions. 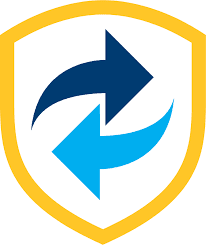 Macrium Reflect 7.1 is a powerful and trusted endpoint backup utility for home and business. Its Fast, reliable and scalable. Macrium Reflect now includes ransomware protection with Macrium Image Guardian! Macrium Reflect Free is a utility for creating an image backup of individual partitions and entire hard disks, distributed completely free of charge (for personal use). It's an image based backup utility for creating an accurate image of a hard disk or partitions on the disk and restore them anytime! The software allows to supervise data backup and restore operations. A special option allows you to view, at any time, the content of an image file previously generated by assigning a drive letter (in this way you can access its content from "My Computer" as well as any other application installed on the system). Macrium Reflect Free supports the creation of backup image files directly from the Windows environment as well as allowing the creation of two types of recovery CDs: the first, based on Linux; the second on Windows OS. The software is complete and versatile: each setting is customizable in depth and it is easy to schedule data backup on a periodic basis. It's compatible with Windows XP, Windows Vista, Windows 7, Windows 8 and Windows 10. Super Fast And Powerful Imaging Backup. Folder And File Backup Solution. Software Name: Macrium Reflect Free Download. Software Category: Data Recovery, software download. Click on the button below in order to download the standalone offline setup file of Macrium Reflect 7.1 Free for PC both 32-bit and 64-bit OS.